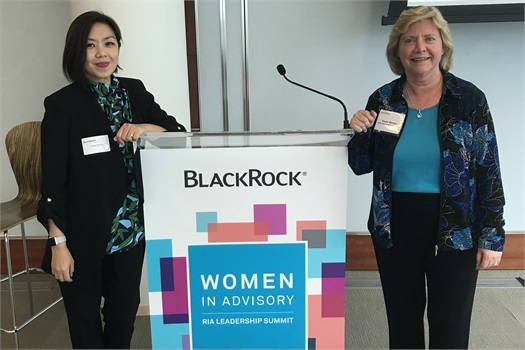 On July -4, 2019, Elaine and Linda attended the BlackRock Women's Summit in San Francisco. BlackRock manages $3T in assets and is one of the largest asset managers on the planet. They learned more about BlackRock's investment strategies, products and views on the market. They also heard presentations by other successful women advisors and women in our industry. The conference provided ideas on new investment strategies to evaluate and ideas on how we can improve the ways we serve our clients. It also confirmed that the systems and processes we implemented in the past year have put us in a position that is among the top in the industry. 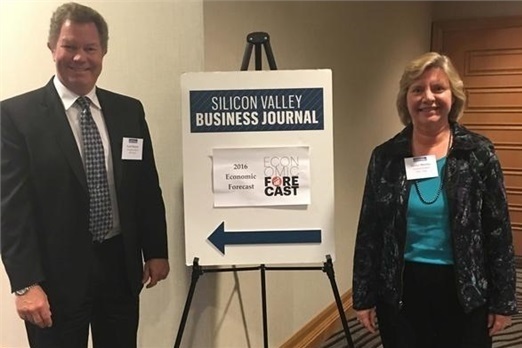 On December 13, 2018, Elaine and Scott attended the Chapman Economic Forecast in Southern California. Chapman University has been preparing an economic forecast for the US, California and Orange County for over 50 years. Our key takeaways included the Tax Cuts and Jobs Act of 2017 increased GDP a little more than they expected in 2018. They expect US GDP to continue to grow through 2019, meaning they do not expect a recession to begin in the US in 2019. But they do see a slowing in residential real estate as mortgage interest rates continue to rise. 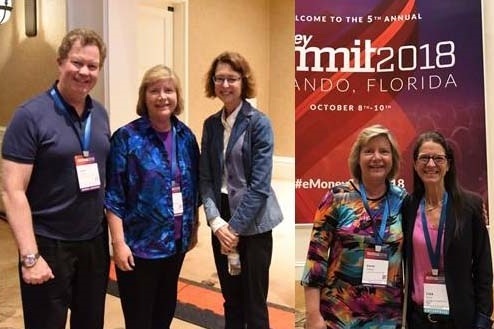 On October 8-10, 2018, Elaine and Scott attended the eMoney Advisor Summit in Orlando, Florida. We learned about many new and exciting features that have been implemented in their software. We had the chance to listen to Abby Johnson, Chairman and CEO of FMR, LLC, talk about her vision for the future of Fidelity. We also talked with Lisa Burns, the manager of trading and servicing platform for Fidelity. We shared with her our impressions as a new team using their systems. It was an outstanding meeting and we learned a lot to help improve the experience for our clients. 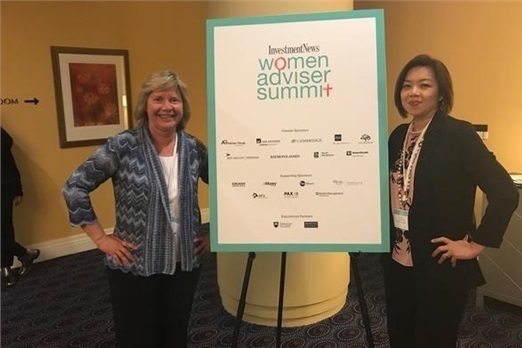 On November 9, 2017, Elaine and Linda attended the InvestmentNews Women Advisor Summit in San Francisco. They heard from top women in the financial industry about important industry topics such as client event ideas, regulatory changes, Social Security and helping our clients through life transitions. 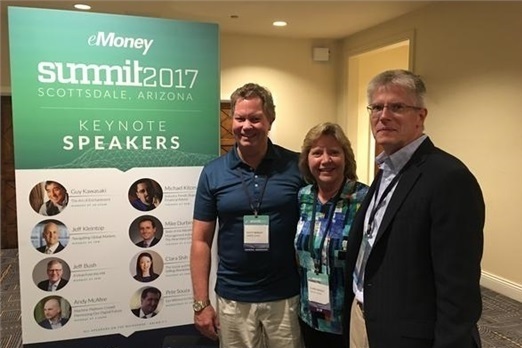 On September 25-27, 2017, Elaine and Scott attended the eMoney Advisor Summit in Scottsdale, Arizona. Included in the picture is Ed O'Brian, President of eMoney Advisor. It was an excellent conference showcasing how technology can make all our lives easier. We learned that there are many exciting enhancements coming from eMoney. 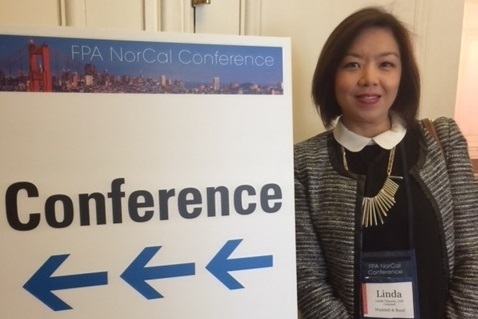 On May 31 to June 1, Linda attended the 44th annual Financial Planning Association (FPA) northern California (NorCal) conference in San Francisco. This is her 15th time attending this annual conference. It is considered one of the top advisor conferences in the nation. Attending these conferences keep Linda up-to-date on the latest news in our industry. This conference featured top national speakers on topics that include financial planning, practice management, investments, tax planning, estate planning and technology. 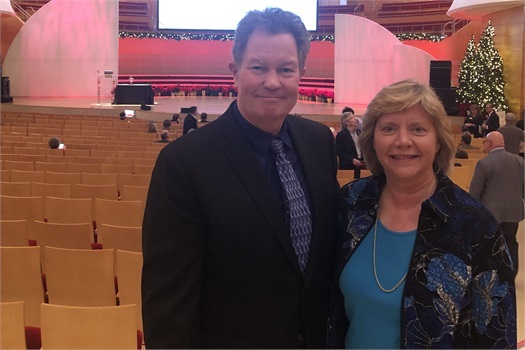 In addition to these top speakers, Linda discussed best practices with advisors from other firms and met with representatives of companies in our industry. The speakers provided an overall optimistic and bullish view for the year ahead. Per the spekers, the economy of Silicon Valley is doing well and this is expected to continue. Exciting projects in process include the extension of BART from Fremont to San Jose, automotive companies opening technology centers in the area, a $6B development project in the planning stages across from Levi's Stadium and the announcement of high speed rail coming to San Jose. The cities reported that the improving economy in the area has helped them build their reserves and strengthen their financial situations. 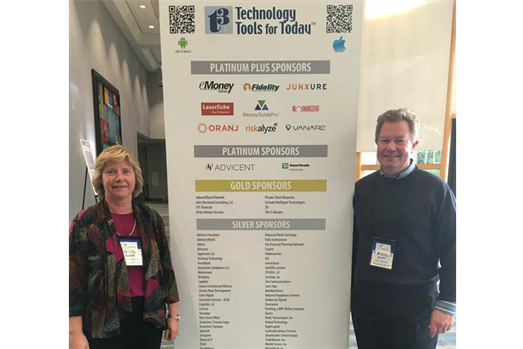 On February 10-12, Elaine and Scott attended the Technology Tools for Today (T3) conference in Fort Lauderdale, Florida. It is considerd the premier technology conference for financial advisors. Elaine and Scott were able to talk directly with the representatives of these companies and see demonstrations of their products. We look forward to sharing more details with you as they become available.